Newlyweds Celestial and Roy are the embodiment of both the American Dream and the New South. He is a young executive and she is an artist on the brink of an exciting career. But as they settle into the routine of their life together, they are ripped apart by circumstances neither could have imagined. 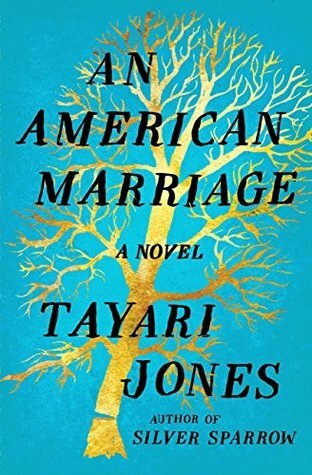 In this deft exploration of love, loyalty, race, justice, and both Black Newlyweds Celestial and Roy are the embodiment of both the American Dream and the New South. He is a young executive and she is an artist on the brink of an exciting career. But as they settle into the routine of their life together, they are ripped apart by circumstances neither could have imagined. In this deft exploration of love, loyalty, race, justice, and both Black masculinity and Black womanhood in 21st century America, Jones achieves that most-illusive of all literary goals: the Great American Novel. JanB Michelle wrote: "I agree with everything you said in your review. I am halfway through this book and I think I am going to walk away from it... I know Michelle wrote: "I agree with everything you said in your review. I am halfway through this book and I think I am going to walk away from it... I know I should like it but the characters just drive my bonkers, espe..."